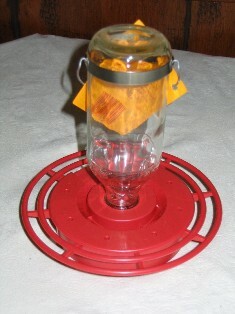 Description: "Take apart base, simple cleaning, glass container make this bee/wasp proof hummingbird feeder one of our top sellers. Economical, simple and fun. 8oz. capacity guarantees fresh nectar for your hummingbirds."